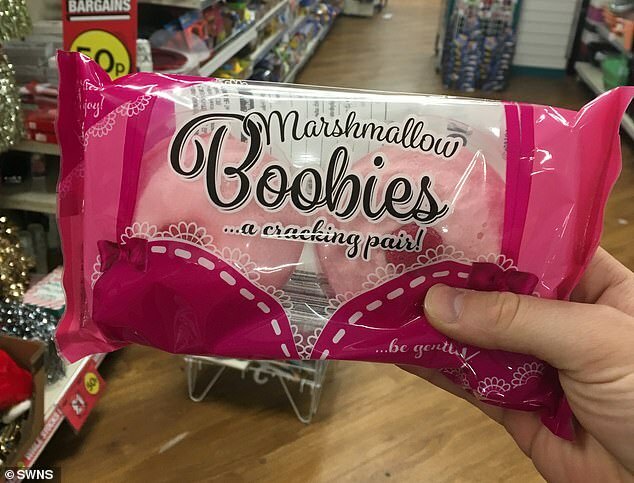 Poundland has come under fire for selling marshmallows shaped like ‘boobies’ and ‘booties’ with packaging asking customers to ‘squeeze’ them. 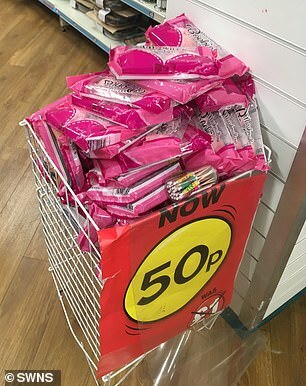 The pink sweets in the shape of women’s breasts and bottoms are sold in the budget chain’s ‘novelty’ department, which is largely aimed at children. They are on sale for 50p and have ‘squidge my cheeks’ and ‘a cracking pair’ written on the packets. They were spotted by one shopper in Poundland’s Bolton store, Greater Manchester, triggering a furious social media backlash. They have been dubbed ‘sexist’, ‘objectifying’ and even been accused of encouraging violence against women. Gemma Aitchison wrote on Twitter: ‘What exactly are you trying to say with these products, Poundland, to the families who come in store? She later added: ‘I know they are marshmallows and I understand that marshmallows aren’t ‘the end of the world’. Others saw Ms Aitchison’s tweet and responded with more angry comments. Josephine Liptrott, from London, wrote: ‘Oh my goodness. That is APPALLING. 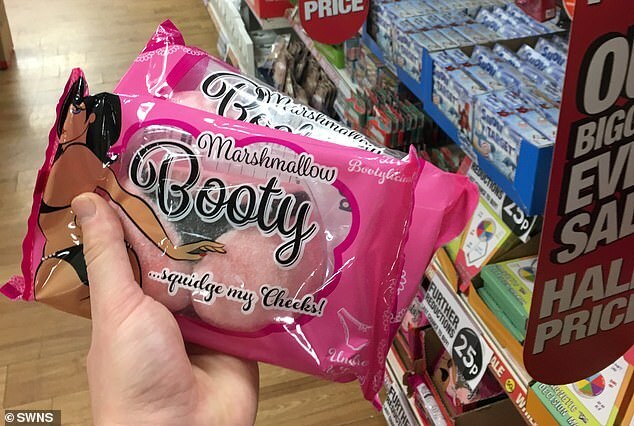 The sexualisation and objectification of women even in marshmallow form? ‘Like something out of an Anne Summers catalogue. Dear lord, Poundland, it’s still 1972 in your stores. Another, with the username Judith’s Sword, added: ‘That is so gross. Misogynist and, unsurprisingly, also perverted. 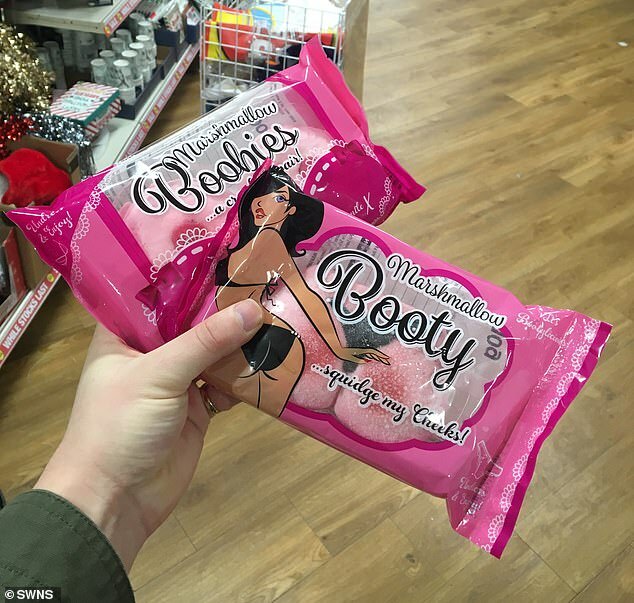 And Emma Payne commented: ‘Poundland, can you explain why on earth you are selling these sexist products? A Poundland spokesman said: ‘If something’s offended you, we won’t force you to buy it. ‘It’s fine for you to look the other way and ignore it. 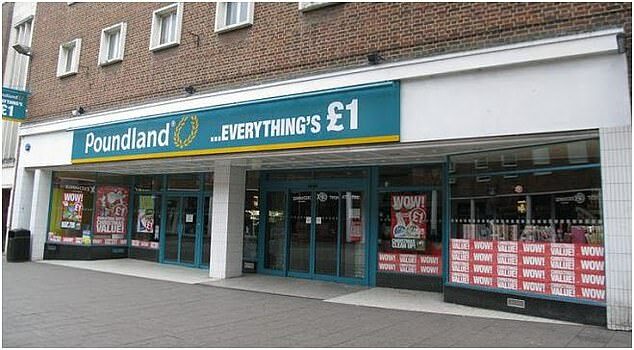 Here at Poundland, we think it’s ok that sometimes we don’t always get it right for everyone.